Many people, customers and suppliers, use email to communicate with you and your business. But what does your email address say about your company? Imagine if banks used a free email address provider, such as Hotmail, Gmail, Sky or BT. Would you feel comfortable about giving them your personal details let alone any money? That’s how your customers see you and your business, it’ll put your credibility in question and could affect whether they do business with you. What rolls off the tongue better, johnsplumbing_1985@hotmail.co.uk or info@johnsplumbing.co.uk? Not only does the info@johnsplumbing.co.uk email address roll off the tongue a lot better than the Hotmail.co.uk address, but it looks more professional. Now imagine you see the Hotmail.co.uk email on the side of a van, you are more likely to forget it by the time you get back in front of your computer. Whereas the johnsplumbing.co.uk is easy to remember. When you use a free email address provider, you are literally at the mercy of them. If they decide to stop providing an email service or close down your account, you cannot communicate via email to your customers or suppliers. You also have to inform people of your new email address, reprint company literature and update your website. How much time and money would this cost you? Also, free email accounts are often hacked and leaked on a daily basis. You literally have no control over the security on your account. If you are hacked, you are at the mercy of the provider to resolve it quickly. By using a professional email address, you have complete control over it. You can reset passwords, create new addresses at will and define the security policies. A professional email address is relatively cheap. In fact, towards the end of last year, we quoted a customer for a new email address using their own domain and Office 365 email. They come back to us asking if the price was correct as it was a lot cheaper than they thought. 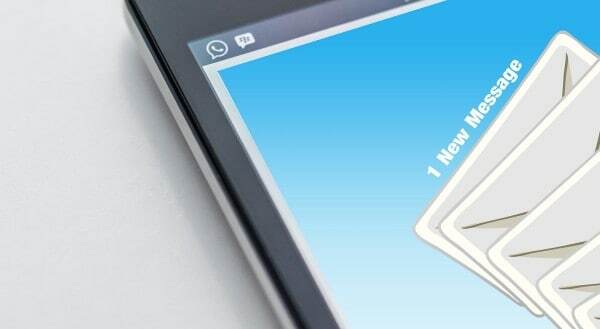 If you are using a free email address in your business, give us a call on 01543 889 444 and we’ll set you up a professional looking email address and also manage it for you.